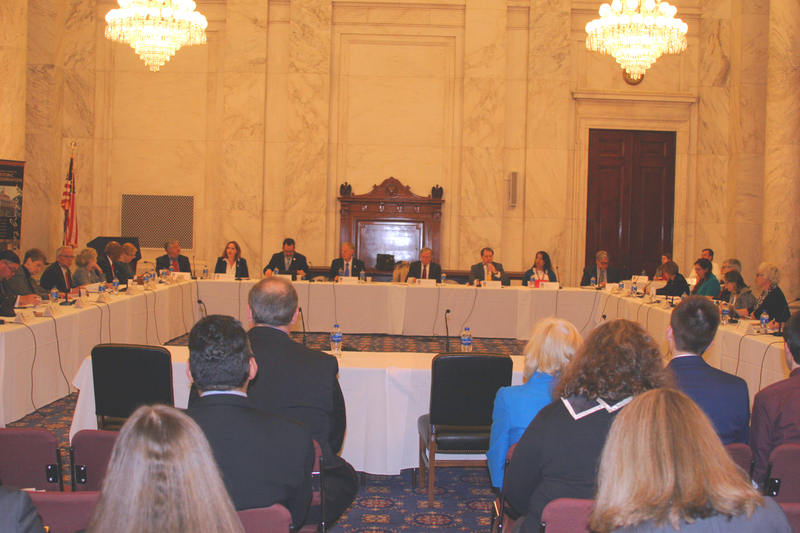 The ACHP met for spring business April 4 in Washington, D.C. Members discussed a variety of wide-ranging topics and laid the foundation for the full-time chairman’s arrival. Members addressed the proposed revisions to National Park Service (NPS) regulations regarding the National Register of Historic Places. In 2016, the National Historic Preservation Act (NHPA) was amended to, among other things, provide a specific procedure that must be completed for federal agencies to nominate properties under their jurisdiction or control for listing in the National Register. The proposed rule is intended to implement those amendments. It makes changes to the regulations that affect the roles of the federal agency, the State Historic Preservation Officer, and the Keeper, including when the Keeper may make a determination of eligibility and the timeline for responding to appeals. The NPS also added a provision with regard to property owner objections to the listing of a multi-owner property on the National Register. The current rule states that a property shall not be listed if a majority of the landowners object. The proposed rule adds to this that the objection could also come from the owners of a majority of the land area in a proposed historic district. Council members expressed their serious concerns with the proposed language and its intentions; that the process changes seem unnecessarily adversarial; and the NHPA goes beyond property rights issues. NPS is accepting comments on the proposed revisions until April 30. Members also discussed upcoming plans to revise the strategic plan when the new full-time chairman is in place. During the business meeting, members discussed priorities that should be included in the next ACHP strategic plan including renewed focus on youth outreach, citizen engagement through digital media, tribal consultation, and better access to Congress and the White House. Members also discussed plans to formalize the ACHP Executive Committee’s membership and tasks. Members are awaiting word from the Department of Housing and Urban Development for the ACHP’s inclusion on the White House Opportunity and Revitalization Council. The Council’s role is to promote revitalization of urban and economically distressed communities.